Wearable Style News recently caught up with French entrepreneur Laurent Le Pen, CEO of wearable tech design company Omate. 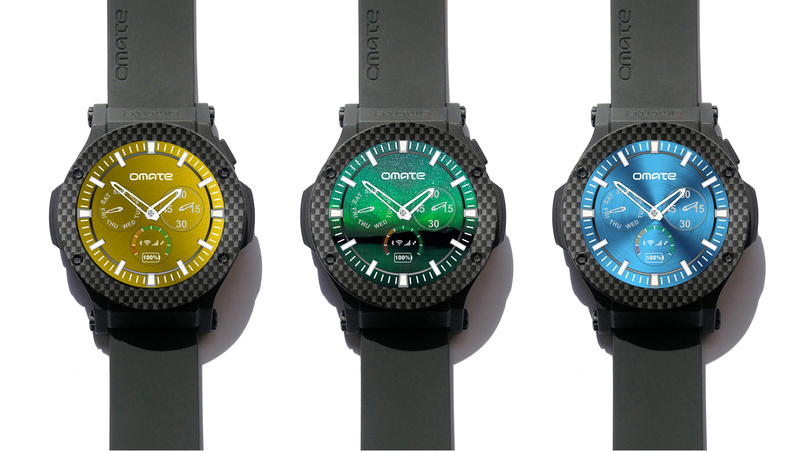 Based in China, Omate combines cutting edge hardware and software with fashion-forward design. Le Pen has more than a decade of experience in the mobile phone design industry and also manages the largest wearable-themed professional group on LinkedIn, which has more than 22,000 members. 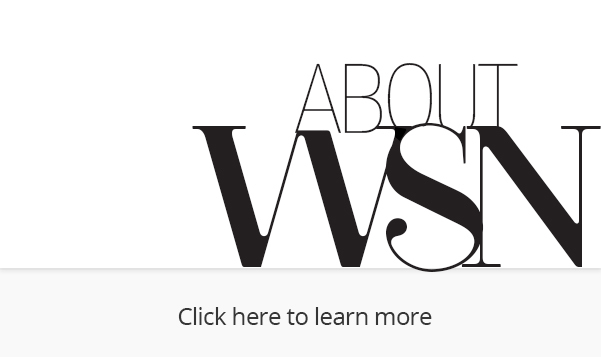 Wearable Style News: Let’s talk about wearables and Omate. 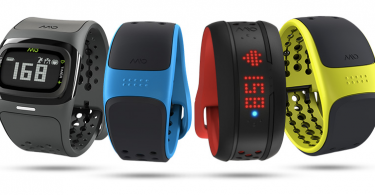 Give some background on when you first developed wearables for your company. Laurent Le Pen: For the last 10 years, we have been designing phones and Android smartphones. We were one of the first to design an Android smartphone, and my background is at Philips Mobile in France. After I moved to China eight years ago, we got the display of an iPod Nano. We connected it to one of the big mobile phone displays and saw a tiny version of Android running on a small display—a very, very tiny version of Android. From there we decided to design our first product, which we called the TrueSmart. That’s when everything started. How was the response to that product? We tried to show that prototype to many of the existing distributors, operators, mobile phone carriers, and big brands. They were all skeptical about it, and that’s why I decided to launch our own brand from that prototype. A month or so later, in July 2013, we launched our Kickstarter. So you raised money on Kickstarter to fund the watch? Yes. Our goal was to raise $100,000, and in August of 2013, we achieved that in half a day. That was the turning point. Suddenly we had the press coming to us, which we were not totally prepared for. So we became a B2C company after coming from the B2B side. At the end of our 1-month campaign, we raised over $1 million to launch the brand, and we got a lot of press again. You raised $100,000 in about a half a day? Wow! Amazing. You guys must have been going crazy when that happened. It was a very intense month. The second day we raised even more. We did $200,000 in a few days, and it kept going up. We were a very tiny, very young company and we were about 2 months old when we got 1 million dollars in revenue. It was a really hard time actually. We had a lot of pressure from the 4,500 IPOs — our customers — and we started shipping in November, and then every month after. Our attitude was that we were a campaign until the last backer received the last product, so that was a bit late in May of 2014. Right after, we signed distributors worldwide, with partners in Russia, Korea, China, Taiwan, and Europe. We started spreading the brand in different countries, and we also started thinking what would be next. We started working on new products, and that’s when we got approached by many of our business partners. We became Omate in December of 2014, and that’s when we designed some more fashion-oriented smartwatches. Was one of those partnerships with Richline Group? Yes. In December of last year, I got a call from the Swarovski team who asked me if I’d like to meet their biggest customer in Hong Kong. So I met with a gentleman from Richline Group and it was a great meeting. I met with some of the management at Richline and they told me, “What you’re doing is wearable tech, but the truth is your watch is not a beautiful watch.” We were coming from the mobile phone and the tech side, and Richline was from the jewelry side, so it was totally opposite. Jewelry is totally different. We’ve learned a lot from Richline over the last year. How were you able to blend that design and jewelry orientation with your tech and watch orientation? We’re all on a learning curve when it comes to wearables. The great thing about wearables is that whether you’re a billion dollar company or a young start up, everyone is learning. We also understand that each partner is an asset, a core of the business. From this side, we are pure tech people. We are not fashion icons, and we are not jewelry experts or watch experts. So we spent time with Richline for them to understand the tech. I did not know anything about jewelry, they did not know much about technology. It was really good to learn and understand both industries in order to make a compromise. We ended up customizing the technology from both sides. Talk about the products that you have in development with Richline. Everything started with Lutetia, which was a year ago. We became interested in designing a smartwatch for women. We were very excited by that because we knew that the tech side didn’t know anything about how to design beautiful products for ladies. If you look back 1-2 years ago, the original smartwatch manufacturers and players are all coming from the tech industry, and especially from the mobile phone industry, like Omate. And they said, “Of course, we have a model for ladies, it’s the white one.” That worked very well for smartphones, like with the black iPhone and the white iPhone. They thought women would take the white iPhone and men would take the black iPhone. But for watches, that doesn’t work at all. So the first thing we did with Richline was put together a separate team inside Omate to let them create and design something they would like to wear. After that, we used one module to create a version for men, which is Omate Roma, and another one, which is more casual, entry-level and young, the Omate Racer. The technology inside is the same module, but Richline worked with us to make more fashionable and affordable smartwatches. Do you have any other products in development with Richline that you can talk about? We have a partnership with Emanuel Ungaro, which is a haute couture French fashion house with legitimate fashion designers. They’re using our technology to design the look and feel of the Ungaro ring, which is then assembled by Richline. This is an ongoing project under development, and involves three companies teaming up in order to build a wearable. It’s a very unique “fashiontech” collaboration. The Ungaro ring is incredible, and it is extremely hard to design, but we are going to launch it at Paris Fashion Week at the end of January. That’s very exciting. What’s a product like that going to cost? 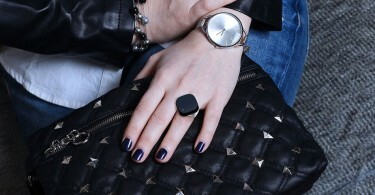 The Ungaro ring is a luxury product, not because of the technology inside, but because of the material used. It’s made of gold and silver, and because it’s a big ring, there is a big stone. It will start around $500 USD, and there is a version that goes for $2,000 USD. Obviously that’s a luxury item, and there’s going to be a market for that. How important do you think the functionality is going to be in the purchase of what is essentially a luxury jewelry item? From our side we can think from the tech perspective, but again we are learning from people in different industries. When we came to design the product, we said we could add this function, we could add that function, we could add lots of gadgets, because we were able to. And from the Ungaro side, they would tell us, less is more. Meaning we want to focus on one single feature, and that feature is that you can pair the ring with an iPhone, and you can select one contact. When that contact calls you, it will be a VIP ring, and when that contact calls or sends you a text message, it will simply vibrate once. No one will see that your VIP contact is calling since there is no special effect. And you can select the people you care about in your contact list, and when these people contact the lady who wears that couture ring, it will vibrate so she knows it’s important. The feature is very unique. Technology can always do more, but it’s more about the idea and the concept than about the technology itself. Doing it the way we did doesn’t make it become a gadget, it makes it look like a normal couture ring. The technology is totally invisible. No one will see since it’s a little vibration. It’s very subtle and it’s something very personal. There’s more to it than the function and the beauty, it’s about function and beauty together. Your new smartwatch, the Omate Rise, launches on Indiegogo on December 7th. Can you tell us about this new product, and why consumers should be excited for it? 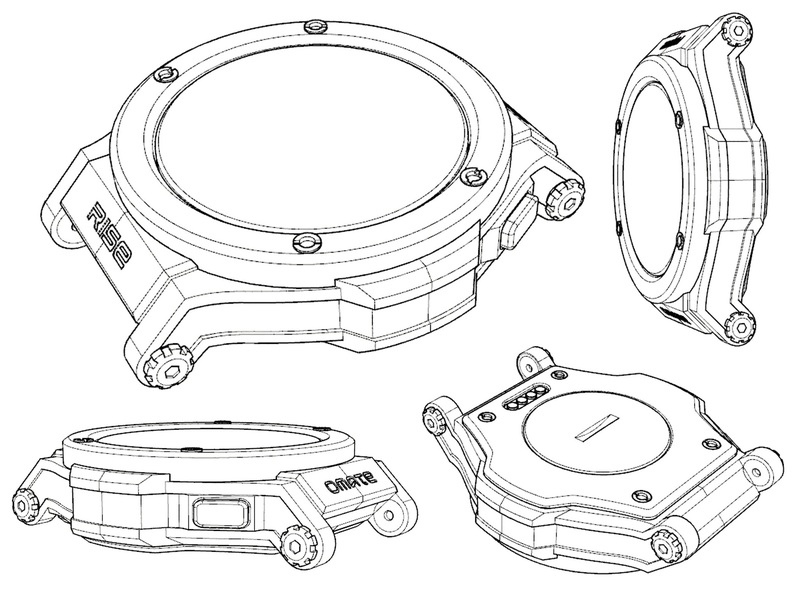 Omate’s motto, “technology is what we carry and fashion is what we wear,” guides us from design to engineering. 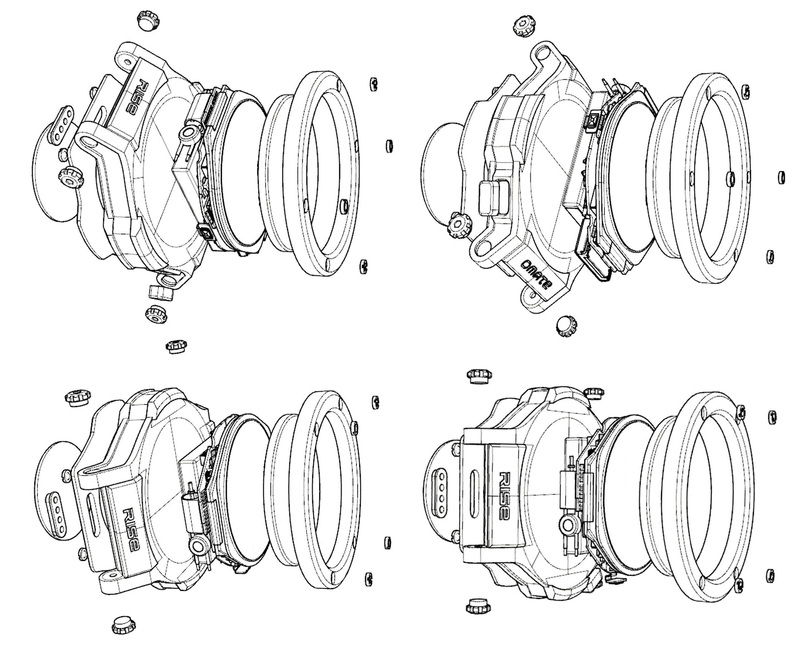 The Omate Rise is a clear representation of this vision. When you combine new-age technology with trendy compact design, you get the Omate Rise. The Omate Rise is the best of both worlds: Companion and Standalone. On one hand, a companion smartwatch 1.0 is connected to your smartphone like a slave device and the smartphone is the master. As soon as it gets disconnected, a companion smartwatch can only give the time. On the other, a standalone smartwatch 2.0 (connected to the telecom network) is fully independent and does not rely on a smartphone. The Omate Rise is what we call a smartwatch 3.0 as it can do both, which means as soon as it gets disconnected from the smartphone it can take the lead and push information on its own. So, with the Omate Rise, you can call, receive text messages, emails, social media notifications and run apps and other Internet tasks without needing to pair with your smartphone or be connected to Wi-Fi. And because it’s on your wrist, the Omate Rise follows you wherever you go and allows you to enjoy a pure Smartwatch 3.0 experience. When you look ahead, what are you excited about in the wearable market? I think it’s fantastic that there are a lot more players coming onto the field. Specifically, I’m very excited to see historic brands from the watch and jewelry industries getting interested in seeing what their industry will be like in the 21st century. Their industries haven’t evolved much, so innovation is very important for them. I’m very excited to see them trying to understand technology and all the investments which are made in order to innovate in this field. You have a LinkedIn group for wearable design, which has a huge membership. How did that come about? I started the group 6 or 7 years ago with one member. Unlike other groups, it’s more about sharing information with other people interested in the field. Whether they are from hardware, software, or the jewelry world and watch industry, it’s a forum where we can discuss ideas. Some people even come to share their product and technologies, or find partners. It’s a very open platform. Apple is generally credited with introducing the notion of smart wearables to the masses. But they have a habit of dominating the market and making it very difficult for everybody else. Where is the opportunity beyond Apple Watch? What are they missing that you will be able to capitalize on? Apple is a giant company, but if you look at the Apple Watch, you can clearly see that is has been designed by mobile people. This is why it’s an amazing product, and a beautiful piece of engineering, but it’s probably not the most beautiful watch on the market. As I mentioned before, what is great about the wearable segment is that we’re all still learning. We came into wearable tech two years ago by designing a smartwatch, which was very geeky and very dated. It was a beautifully designed product, but probably not a very beautiful watch by itself. I think the same is happening to Apple. I’m more excited to see companies like Tag, Fossil, or even Casio design smartwatches, because they know more about watches. And yes, Apple is already dominating companies, but this is totally different from the smartphone. With technology, it doesn’t matter if you have the same phone as your wife, son, daughter, or parents. Smartphones are very important and connected tools, and are probably the most important communication tool we have. But for wearables, it is very different. We do not want to live in a world where we wear the same clothes, the same watch, and the same shoes. That’s not a world I want to live in. It’s no fun when everyone is wearing the same thing, right? And since we do different bands and different styles, people will want to be unique. There will always be room for people to be able to differentiate. So, I’m not afraid. Why is fashion and design so important for the future of wearables? One of our mottos is that technology is what you carry, fashion is what you wear. If you look at all of the fashion houses, they are all led by innovation. And it moves very quickly. When you want to disrupt an industry, whether it’s glasses, jewelry, or watches, you need to understand the industry before becoming loud with your technology and thinking everyone loves it. You need to understand the past to better innovate, and pay respect to what came before. If you look at the fashion industry, it’s owned by some very powerful groups, and these very powerful groups own about 90% of the largest brands. So they will not let the technology guy, like me and many others, take their business. It’s important that both sides work together, and I see the trend coming very fast. I’m very pleased to be a part of it. When you see collaborations like Tag Heuer and Google, or Fossil acquiring Misfit, or like what we’re doing at Omate with Ungaro and Richline, these are very good examples of when technology meets fashion. I think we will see that more and more. We understand that we cannot do it alone. Tech needs fashion, and fashion definitely needs tech to enter into the wearables world. So, it’s a combination.